Unfulfilled by city life, Amy Blackmarr sold her thriving Kansas business and returned to the pine woods of South Georgia to follow a dream. For five years, she lived in her grandfather’s "old scarecrow of a fishing cabin" beside the pond. Now with warmth, humor, and a strong, clear voice, she brings her rustic world alive in stories about her dogs, life without hot water, visits from an alligator, and the life and death of her grandmother. Blackmarr also writes candidly of the demons she must conquer in her own nature to become the person she longs to be while continually proving there is wonder to be found in every moment. In the tradition of Thoreau’s Walden and Annie Dillard’s Pilgrim at Tinker Creek, Going to Ground is a tribute to the transcendent beauty of nature and the joys, fears, lessons, and serenity of the solitary life. 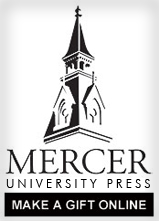 Originally published in 1997, Mercer University Press proudly introduces this new edition.